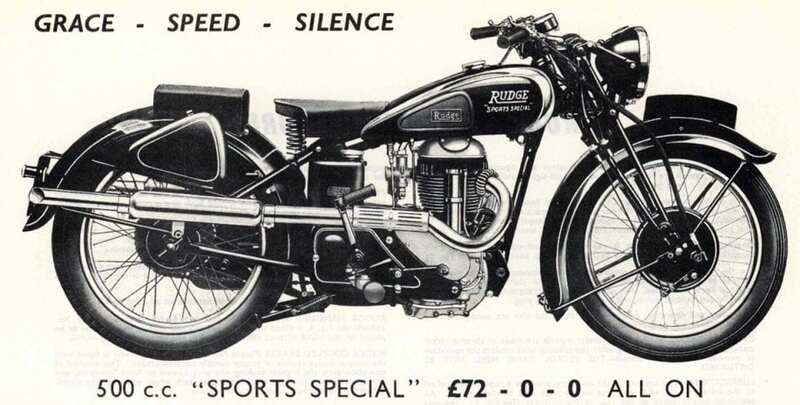 Rudge Whitworth promised ‘grace, speed and silence’ in the shape of their svelte 500cc sporting single, the aptly named Sports Special. 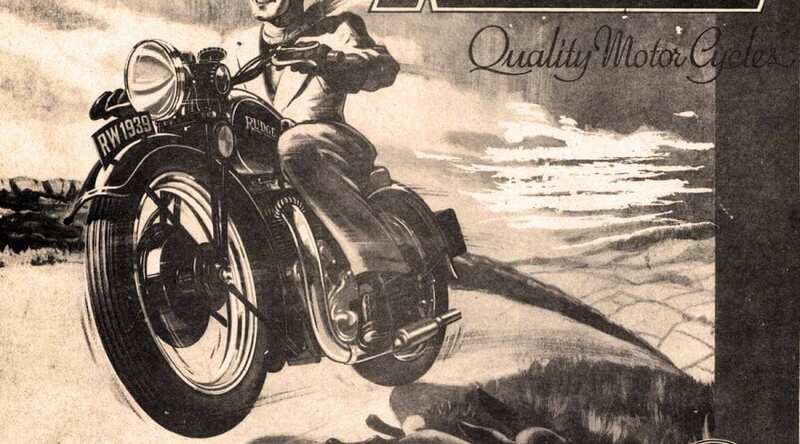 This was one of the final motorcycles made by the high-class concern in the years leading up to the outbreak of war. 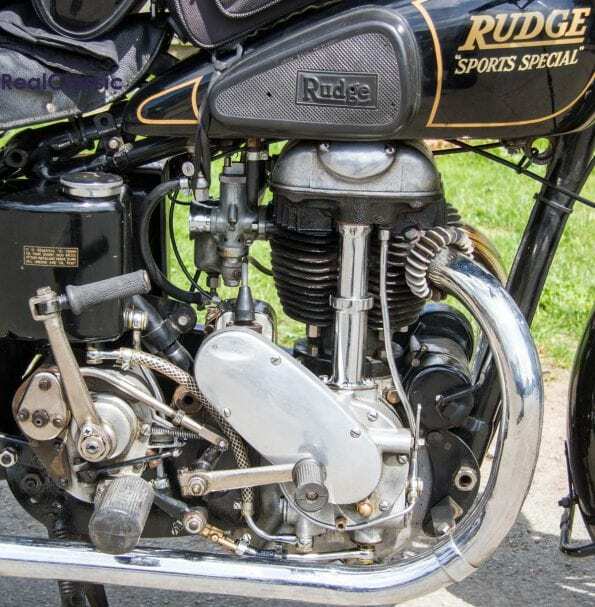 It may not be the fastest bike Rudge ever built, nor the most technically innovative, but it’s certainly still… something special. Back in 1937 Rudge Whitworth, a company that could trace its origins back to the 1870s, was bought out by HMV, itself a subsidiary of EMI. 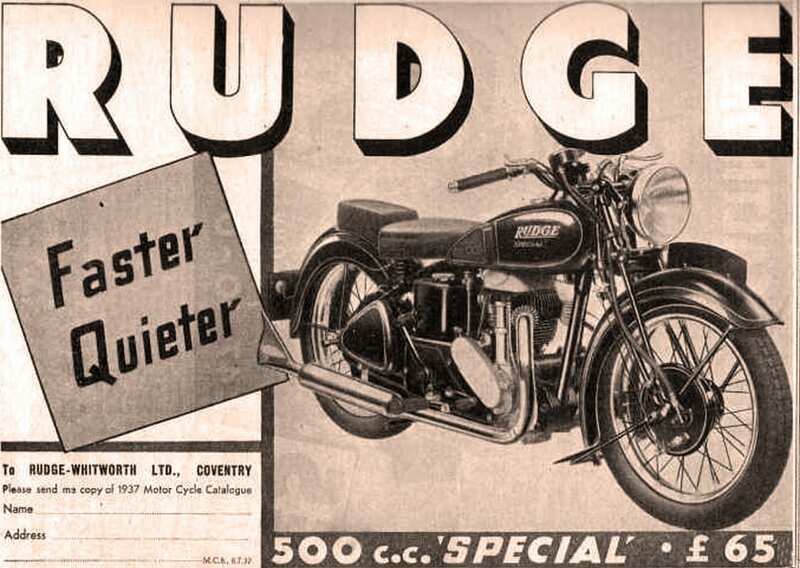 The rationale was that HMV workers in its factory in Hayes, Middlesex, could be gainfully employed manufacturing Rudge motorcycles during their quiet periods; the Rudge factory in Coventry would meanwhile close and be transferred to a new motorcycle manufacturing base built in Hayes. 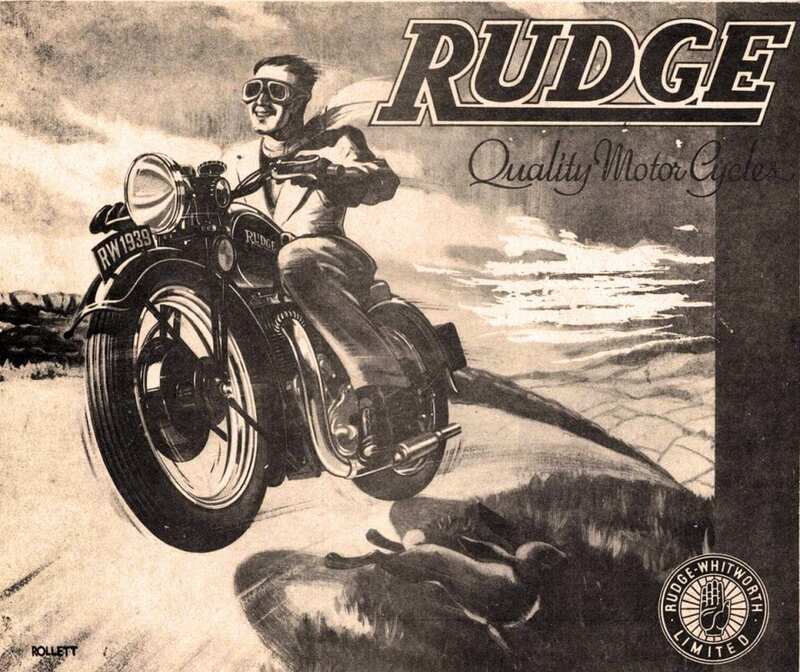 However WW2 intervened and EMI needed the motorcycle space for building radars and so in 1939 Rudge Whitworth motorcycles effectively expired. The marque had been conspicuous for its sporting in success in road racing at Brooklands, Donington and, most notably the TT. 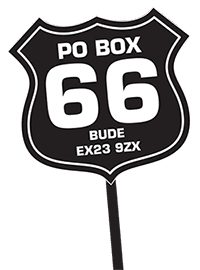 Rudge also saw action at the ISDT and was a force to be reckoned with in the 1920s as part of the newly introduced sport of dirt track, later known as speedway. The company was also forward thinking with innovations such as the Rudge Multi gear system in 1912 and its ‘4-valve head, 4-speeds and coupled brakes’ in 1924. Sales of its engines, clutches and gearboxes, branded Python, to other manufacturers such as Vincent HRD, James, Rex Acme and even Enzo Ferrari also brought in extra income. 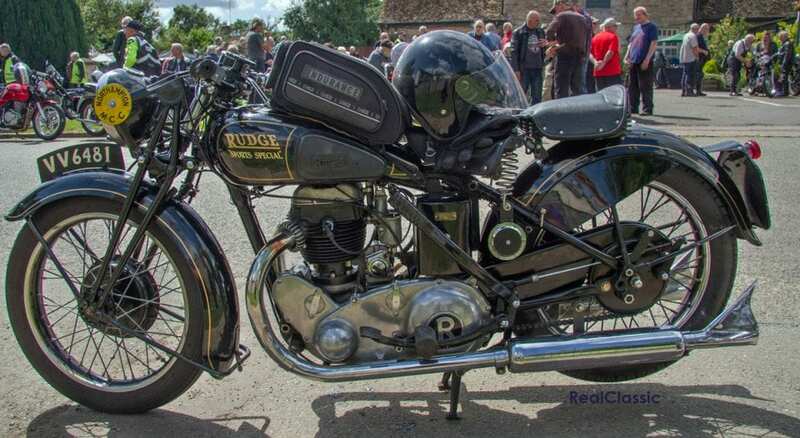 Rudge Whitworth was therefore something of a class act and it’s always good to see one like this 1937 500cc example at the Bill Lacey Run this summer. Inevitably, in all that time it’s undergone a minor modification and its specification doesn’t quite match the ‘Sports Special’ legend on the petrol tank. This model was built for only a few years from 1937 until the marque’s extinction. 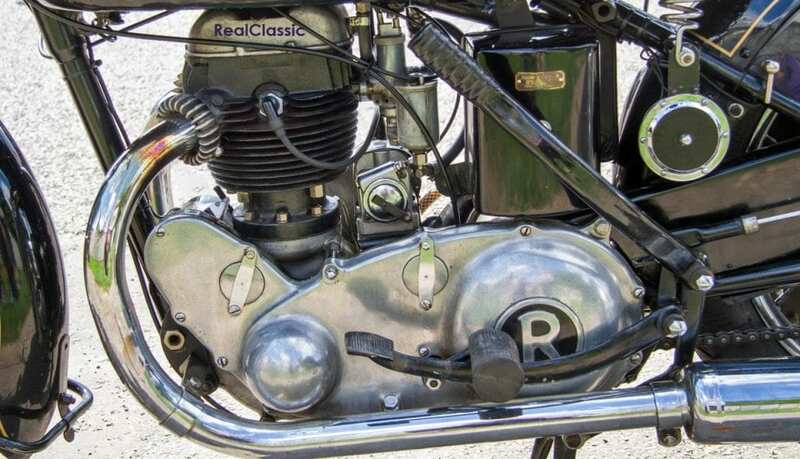 The baseline Special model could be bought for £69.10s, and the lucky owner went home with a 495cc four-valve ohv engine of 84.5mm by 88mm and an Aerolite, close-clearance, non-slap piston. All the valve gear were enclosed in a detachable cylinder head which could be removed while leaving the petrol tank in situ. The Special also incorporated dry sump lubrication, four-speed gearbox and electrics provided courtesy of a BT-H magneto and Miller dynamo. Stopping was unusually effective on a prewar machine, thanks to Ridge’s linked system which used a beefy eight-inch brake at the front partnered with a 7.5-inch drum at the back. 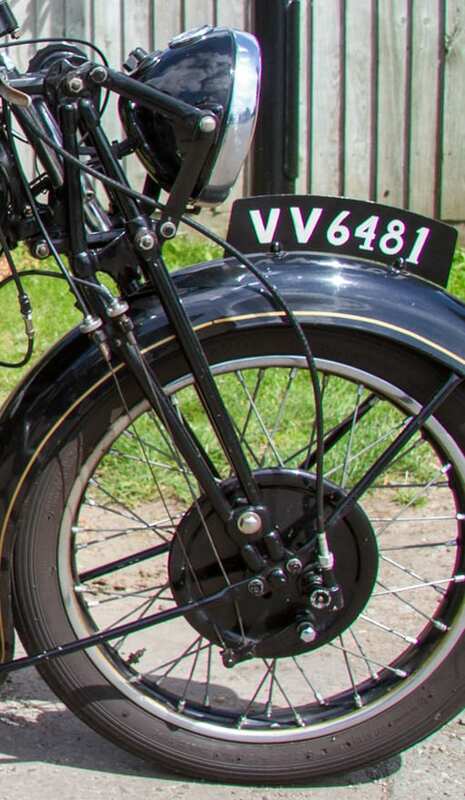 Countless other details of engineering expertise abound around the Rudge — hands up who knows what the big handle is for? For an extra £1, the ‘outstanding Rudge quality finish, multi-coat superfine enamel’ could be provided in blue or maroon rather than the standard black and, naturally, all would be applied over the firm’s ‘rustproof undercoat’.